Kept in the Smithsonian's Museums of Asian Art, Washington DC, USA. There are few similar Indian paintings of Nadir Shah in USA. This is one of them. What is weird is the date this work was done, which is around 1900s. I have few doubts about the date. I think it might have been created much earlier than that somewhere in 18th century. Nadir is an important and controversial figure in Indian history, who was among the last foreign invaders who plundered India. 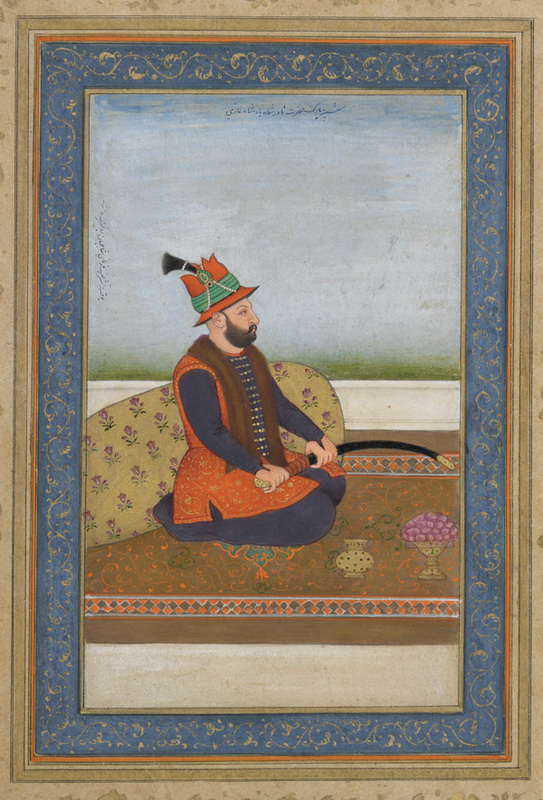 After his victory over Mughal India, he took most of the Indian treasures such as Peacock Throne and Koh-i-Noor diamond back to his native Iran.